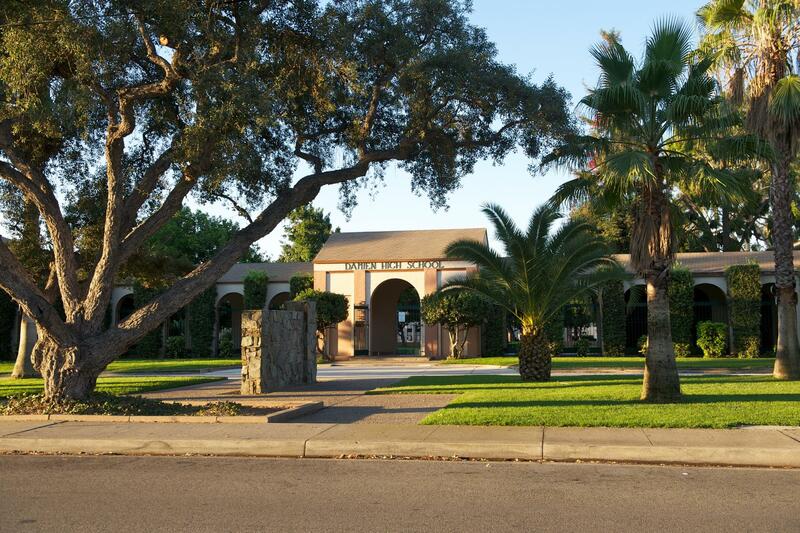 During your years at Damien High School, you were provided with a foundation of values: spiritual, intellectual, physical and social to enable you to properly mature, to become a confident individual able to actively participate and contribute in the life of our world. You were asked to work hard, to learn, to be challenged, to play, to celebrate in Christ’s name, to be joyful, to be sorrowful. 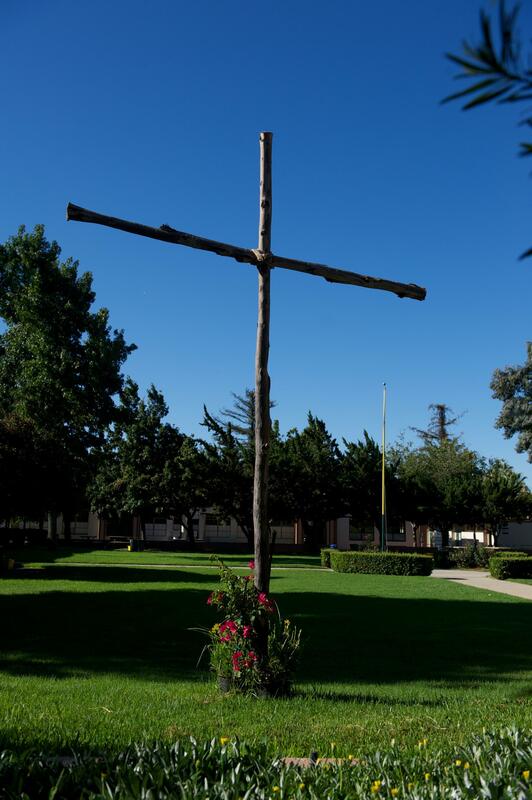 You have been blessed through your education at Damien to have been taught as Jesus taught, to develop a recognition of self-worth and the dignity of others. Damien was blessed with your presence. 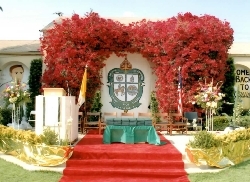 We often speak of the proud tradition of Damien High School, proud in every aspect. 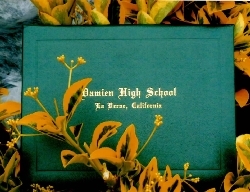 Each of you in your own special way contributed and have become a part of what is Damien. Spartan pride can be found at Damien in our academic, athletic and social programs. It can be found in the wide eyes of our freshmen as they being their years with us. It can be found in the spirit of our Homecoming celebrations. Spartan pride can be found on the mature look of our graduates as they celebrate their commencement. 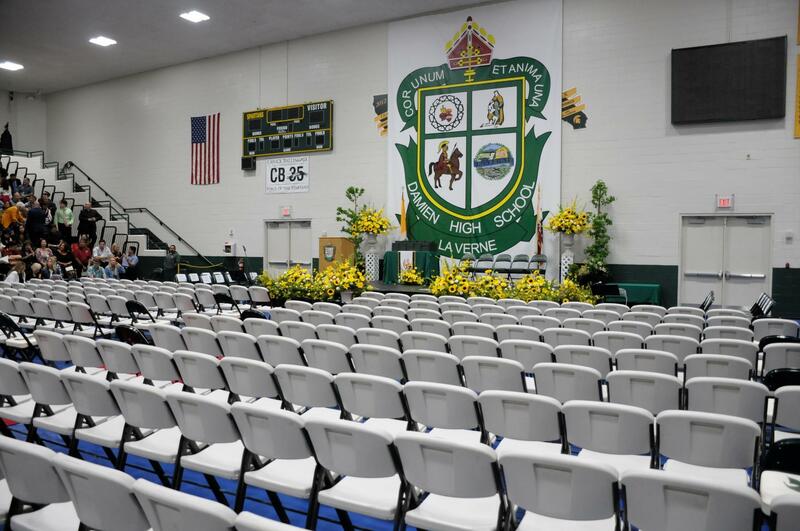 While your years at Damien rapidly concluded, Spartan pride continues with each of you throughout all aspects of life. We must count among our blessings a host of companions we call classmates and friends. Thank you for your lifelong interest in Damien and your financial support. The school prospers because of you.